Once again, Abbott makes Australia look uncaring and stupid. Australian Prime Minister Tony Abbott (L), and Australian Health Minister Peter Dutton (R) during a press conference in Sydney, Australia, 5 November 2014. As we have pointed out before, Australia has been slow and mealy-mouthed in sending aid/health workers to try and control the Ebola outbreak at source. Yet even now some small move has been made, as PM Abbott and Health Minister Dutton have been dragged kicking and screaming to the table, people around the world, and indeed at home, could be forgiven for being a little confused about Australia’s response to the Ebola crisis. The government has been sending out somewhat mixed signals over what help it can offer, as is now pointed out for the world to read on the front page of the BBC website in the UK. Nice. First, the Abbott government refused to send any official medical or military personnel to West Africa, a decision for which he was widely criticised on this blog, inside Australia, and overseas, at the same time as President Barack Obama was saying the US should be encouraging health workers to volunteer to go to the frontline. Mr Abbott has now bowed to pressure and announced Australia will be contributing A$20m (£11m; $17m) to help fund a British Ebola response clinic being set up in Sierra Leone. However, the prime minister has been vague about who will be staffing it. The Australian side of the operation has been contracted out to the private health provider Aspen Medical and Abbott suggested most of the staff would be recruited locally, but contradictorily health officials in Sierra Leone have said the principal thing they are lacking is qualified local doctors. Meanwhile, the managing director of Aspen Medical, Glenn Keys, has said around 350 Australians have registered with the company to go and help. What is clear is that the prime minister is sticking by his line that no government medical teams or military personnel will be dispatched. Mr Abbott said the decision to contract in Aspen had been reached after Britain agreed to treat any Australians who become infected while in West Africa, something the Australian leader had said was his principal concern. It’s now emerged though, that the European Union had already made a similar offer to treat Australian staff that Mr Abbott had rejected. How many innocent lives could Australian workers have saved in the last few weeks? We will never know. Yet the media in Australia have been perfectly silent in asking him “Why?”, and still are. Especially as the end result is Australia’s response has looked very tardy and been delayed by crucial weeks. Meanwhile the poor of West Africa continue to face death rates from Ebola of up to 90% of all those infected. Add to that the strong criticism Australia has faced after it became the first developed country to ban the issuing of visas to anyone from Sierra Leone, Guinea and Liberia. The Sierra Leonean government called the move “discriminatory” and “counter-productive” suggesting it created a climate of panic. As the BBC say, anyone who’s visited Australia will know they take a tough line on bio-security. There are strict rules about bringing in food products due to fears of bringing in disease. But given that only a handful of people have been tested for suspected Ebola in Australia and all have tested negative, the government here risks being accused of showing a lack of compassion in the eyes of many around the world. What is more important is that if this outbreak is not stopped AT SOURCE, and somehow transmits itself into other poor areas of the world with bad sanitation and inadequate health services – the rest of Africa, India, Pakistan, Central and Southern America, great swathes of South East Asia, even China – then we would be looking at an Armageddon scenario. In the face of which, Abbott and Dutton looked nothing more nor less like rabbits stuck in the headlights. So much for “strong leadership”, eh? Meanwhile, the political and media beat up worldwide on the outbreak has continued, with near hysteria levels, in the USA in particular. A couple of weeks back we predicted that there wouldn’t be another Ebola case in the USA in the next seven days. It’s now 14 and counting. But has the fever of commentary died down? Hardly. And why is so annoyingly obvious. The Republicans knew that by making Obama look “weak” on Ebola, by terrifying the population, in simple terms, then they would hurt the Democrats. And so they did, as seen in their “wave” of wins in the mid-terms on Tuesday just gone. In fact, as is widely acknowledged, Obama’s response has been a small miracle of intelligent healthcare policy. That he has not received the credit for acting smartly, promptly and effectively – not just in the USA, but in West Africa – is truly sickening. Radioactive pigs. Just another reason to visit Germany. So, if you’ve going to Germany to experience Oktoberfest for beer and sausages this European autumn, chances are you might want to stay away from the wild boar while you’re there: sausages and stews made from which are a delicacy in the forested areas of Europe. 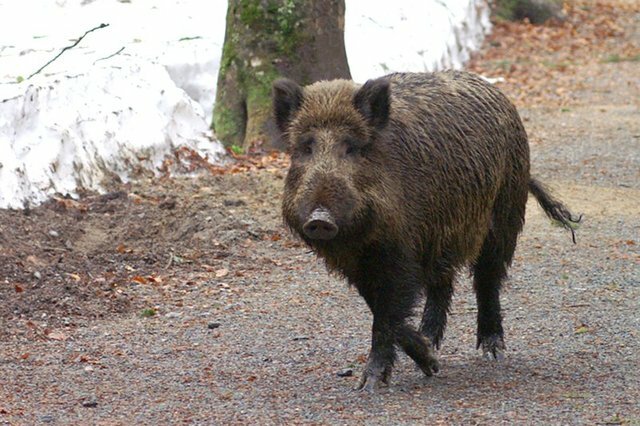 A new study from the German government, reported by The Telegraph, shows that more than one in three wild boar killed by hunters in the region are too radioactive to be safe for humans to eat. Since 2012, hunters in the Saxony region of Germany have had to get any wild boar they kill tested for radiation. In one year, the state reports that 297 of 752 boar tested contained more than the safe limit of 600 becquerels of radioactive material caesium-137 per kilogram for human consumption. Some boar tested had radiation levels dozens of times higher than the safe limit. Saxony is 700 miles from Chernobyl, where a 1986 explosion at a nuclear plant sent radioactive material into the atmosphere.Subsquent rain and wind carried the radioactive material far and wide across Europe. It’s thought that boar are more susceptible to radiation contamination because their diet consists of mushrooms and truffles that are buried in the ground and hold radiation longer than other vegetation. As a result of the contaminated meat, the German government has paid out thousands of euros in compensation to hunters, which have to destroy anything that tests as unsafe and cannot sell it for profit. Even though it has been 28 years since the Chernobyl disaster – we remember it like it was yesterday – The Telegraph points out that experts say the radiation could be around in unsafe levels for another 50 years. Yummy. 10 things that are probably dirtier than your toilet seat. Once upon a time, as we have described before, we went down with a bad dose of OCD. That’s the illness caused by f***** up brain chemicals that makes people do things over and over again … tap their feet a certain number of times, never say the letter P, or, most commonly, check that they’ve turned the gas cooker off thirty times or wash their hands repeatedly in very hot water with lots of soap. We got the germy version. Big time. So we will confess to being 100% more aware of hygiene issues than the average poor sap, even if that is about 10,000 times less aware of it than we used to be, as we are largely recovered from the illness, thank the Lord. So here’s today’s list of ten things you really need to think about. Even if you haven’t got OCD. Unless you/re eating in this toilet-themed restaurant in China you wouldn’t eat off your toilet. But you might be surprised at the items that are dirtier in your world. So 1. Your cell phone. Your cellphone is disgusting. Trust me. It is an absolute holiday resort for germs. If you don’t believe me, go here, where you can actually find out how many germs are living on your trusted companion right now. We are actually quite careful about our phone’s hygiene level, and we got the result that currently, there are 674,100 germs living on our cell phone: that’s the equivalent of 135 toilet seats! Not that we’re paranoid, or nuffink. But seriously, who washes their hands after using their cell phone? Now we know you would never glance at the BBQ and say “I’ll clean it after”, right? Not even once. You will always rigorously clean your grill immediately after cooking on it, even if you’re sitting down by the pool with a belly full of Vic Bitter and sausages with the biggest food coma of all time on the horizon. Or even if you did leave it till next time, just that once, you would never hope for the best and stick a steak on top of the charred leavings of last time, on the basis that all the new fire you’re about to crank up is bound to clean up anything that’s grown there since last time? Eh? Just be aware that any food left on your grill immediately becomes a five star Michelin restaurant for nasty bugs of all kinds just floating around merrily in the sunshine. Cooking on an unclean grill is seriously risking a tummy upset for you and the crowd, at the very least. Not to put too fine a point on it, crap clings to your underwear, whether you can see it or not. When you throw your undies in tub, you transfer about 500 million E. coli bacteria to the machine. On top of that, water tends to settle in the bottom of front-loading machines, making it a breeding ground for germs. Then you wash your clothes in that mess. To make sure your clean clothes come out actually clean, do a load of whites first so you can use chlorine bleach to sanitise the machine. Or dedicate a cycle to underwear and use the hottest water the undies will bear without shrinking with a color-safe bleach substitute. Also, run an empty cycle with bleach once every month to keep your washer free of bacteria. Easey-peasey. When you flush your toilet, it can spray aerosolised droplets over six metres, says Dr Philip Tierno Jr, director of microbiology and immunology at NYU’s Langone Medical Center and the author of The Secret Life of Germs. It’s called a “plume”. Such a pretty name for such a horrid thought. One option is to put the lid of the loo down before flushing. But it’s only a partial solution because it usually isn’t a perfect seal. So if you leave your toothbrush out on the bathroom sink, it will almost certainly be showered with tiny drops of whatever you just flushed. Stowing your toothbrush in a cabinet away from the flying faeces might be a good idea. Running it through the dishwasher will also eliminate germs, according to a 2011 study in the American Journal of Dentistry. As a minimum, run it under a hot tap before using, or an even easier option would be to soak your toothbrush in a mouthwash that contains cetylpyridinium chloride, like Listerine, for 20 minutes. Your dish or surface sponge is probably the nastiest thing in your kitchen. It’s just out to get you, we tells ya’all ! It’s damp and constantly in contact with bacteria, making it a prime place for germs to proliferate. Rather terrifyingly, there’s a one in three chance your kitchen sponge has staph just sitting on it, according to a Simmons College study. (That’s twice the contamination rate of your toilet.) And it could be harbouring up 10 million bacteria per square inch. What can you do? Watch it in very hot soapy water or even in a light solution of disinfectant before using. If that seems a step too far, then vinegar is a natural disinfectant, so try dousing it in that, rinse it out with clean hot water, then do the dishes. Throw old sponges and cloths away more often, and use new ones. Going up? That elevator button could be crawling with more bacteria than a toilet, a new study from the University of Toronto found. Up to 40 times more. And another large study from Saudi Arabia found that 97 per cent of elevator buttons in offices and residential buildings are contaminated. One in 10 had germs that could cause food poisoning or sinus infections. Using an alcohol-based hand sanitiser after you press the “up” button should kill any bacteria you picked up, the researchers say. And for elevator button read … door handles, stair handrails … etc. Sure, it’s not healthy to be constantly using hand sanitiser all day long, but before you touch food that you’re going to put in your mouth? That’s actually a smart idea. How often do you chow down a sandwich at your desk while tapping away at your computer? Those keys, and now your hands, are swarming in potentially harmful bugs. Especially if more than one person use the computer. Your hands, the keyboard. Your hands, the sandwich. The sandwich, your mouth. Your mouth, your gut. You get the picture. But it’s not just your keyboard. It’s other people’s keyboards. And their mice. And other people’s tablets. It’s all because too many people don’t wash their hands thoroughly after visiting the loo despite health experts warning that rushed or ignored hand washing can lead to diarrhoea,vomiting, food poisoning, flu and the spread of MRSA. There’s a new problem looming. British media regulator Ofcom suggest that consumers are so addicted to smartphones and tablet computers that over one in ten – 11%, in fact – now view video content on a device such as the iPad in the bathroom. It’s estimated that around 20% of 18-24 year-olds do so on a regular basis. And if they’re not washing their hands, you can be damn sure they’re not washing their bloody iPhones and iPads. Swab tests recently conducted of public surfaces in six major cities revealed that ATMs are among the worst carriers of illness-causing germs. Starting to get the picture? Anything that is touched regularly by lots of people is a potential source of infection. The problem is very simple – bank staff don’t head outside to clean the keypads on their ATM with anti-bacterial or disinfectant wipes. The tests showed that 41% of automated teller machine keypads carry germs that can cause colds and the flu. Washing your hands afterwards or a hand sanitiser after using an ATM will help you in only picking up cold hard cash, and not a cold along with it. Ah, you have a loyalty card? Would you like two-for-one bag of lollies with your petrol, Sir? Double points this week on sandwiches, too. Whoa! Steady on there. Don’t munch on car snacks after filling up your tank. Not unless you keep some hand sanitiser in the car and use it first. More than 70 per cent of petrol pump handles have germs that can spread disease, a study found. Your hands could actually be germier after washing them than they were before. That’s no exaggeration: one 2011 study from the University of Arizona found that one in four refillable soap dispensers in public bathrooms was contaminated and pumped out bacteria. Another study tested whether those potentially disease-causing germs could be left on your hands after washing. Hot air dryers can also blow up to 45 per cent more bacteria onto your hands, according to a study in the Journal of Applied Microbiology. If you have a choice, use soap dispensers that have bags of soap in them that are replaced, rather than those that are refilled by pouring more soap into them. It might sound nuts, but you can wash the taps (faucet) before you use them, and after washing your hands, use paper towels to dry off, and then use them to turn off the taps and open the door as you leave. Better momentary embarrassment because someone looks at you strangely than a handful of gut-wrenching oooby-goobries. So, feel better now? Yeah, us too. Remember these simple rules to drastically reduce the risk to yourself and others. Always wash your hands thoroughly with soap and hot water after going to the toilet. It’s a warzone. Good luck out there. Llewellyn looked at several years worth of data on 1,658 Americans ages 65 and older who had taken part in the National Heart, Blood and Lung Institute’s Cardiovascular Health Study. He and his team found that adults who were just moderately deficient in vitamin D had a 53 percent increased risk of developing dementia — the general term for any severe decline in mental ability — while the risk jumped to 125 percent for those who had a severe deficiency. Similarly, for Alzheimer’s disease — the most common type of dementia — the moderately deficient adults were 69 percent more likely to develop it, while the severely deficient had a 122 percent increased risk. Currently, more than five million Americans are living with Alzheimer’s disease, which is the sixth leading cause of death in the USA, according to the Chicago-based Alzheimer’s Association. 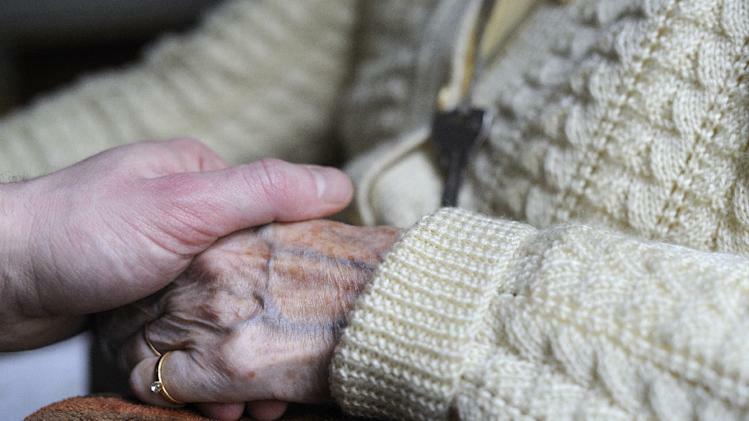 One in three seniors dies with Alzheimer’s or another form of dementia. 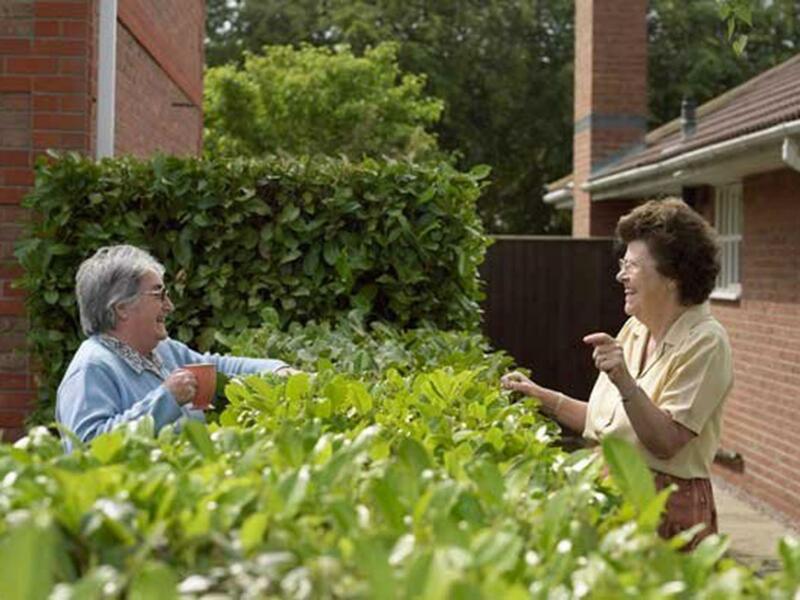 “We think this study is important,” Keith Fargo, director of scientific programs and outreach with the Alzheimer’s Association (a major funder of Llewellyn’s research), told Yahoo Health in response to the findings. “It’s a relatively large study, and it looks like it does show a pretty substantial link.… It just doesn’t show us why there is a link.” One hypothesis, Fargo noted, is that the brain — including the hippocampus, which is one of the first areas to break down with Alzheimer’s — is full of vitamin D receptors. Of course, Aussies and others who enjoy frolicking in the sunshine need to be careful of the other effect of drinking up Vitamin D through their skin – which is skin cancer, of course. As we all make sure we get some sunshine, let’s also remember the advice that adequate Vitamin D levels can be achieved with just 20 minutes exposure to sunshine a day. Read, mark learn and inwardly digest. Or don’t, if you see what we mean. Many, many moons ago, years ago now, the Wellthisiswhatithink household decided to stop eating margarine, especially polyunsaturated margarine, and to resume eating butter. We stopped using soybean oil (like Canola) for cooking, and starting using fat-saturated coconut oil or monounsaturated olive oil instead. In the case of the writer, Dear Reader, one’s cholesterol level and blood pressure fell. Our cholesterol level fell substantially, actually. With the passion of the newly-converted we told everyone we knew that polyunsaturated oil turns into trans-fatty acids at body temperature – let alone when cooked – and that trans-fatty acids were deadly to humans. We also told them repeatedly of the healing miracle that is coconut oil, which we discovered quite by chance when we were employed to write the marketing letter to get people to buy the book, which we devoured almost as enthusiastically as we did the product. We recommend the book. A must read if you’d like to avoid a bunch of nasty modern illnesses. Anyhow, within the last few months, scientists have caught up. Suddenly researchers all over the world are on the bandwagon for butter. Well, we hesitate to say we told you so, but, we told you so. The Australian public is agog at the news today that the Abbott Government has placed an A$12.5 billion order for the F-35 strike fighter. That’s a lot of money for a nation with 22 million people. The Labor Opposition (who started this macho nonsense) needless to say agrees with the decision. Which is interesting, because the troubled F-35 programme has its limitations. It’s been plagued with developmental problems, not least of which the plane is extremely noisy and annoys local residents wherever it is based, so the good burghers of Newcastle in New South Wales may find themselves less than enthusiastic about their soon-to-be top gun neighbours than they might have thought. But perhaps most relevant for the Australian public is that without in-air refuelling (and Australia has just five in-air refuelling units, by the way, to service what will eventually be a collection of 72 sooper-dooper shiny fighters, so presumably now we’re going to have to invest in a lot more of the refuelling planes, too) the new fighter jet has a maximum range of 2,200 kms, out and back. Which logically means that the residents of Queensland should probably leave off looking for mud crabs and start building air-raid shelters, as they won’t reach anywhere else. Big place, Australia. Meanwhile, the Abbott Government is saying it is so worried about Australia’s budget position that they are flagging we will have to pay an extra $6 to visit the GP, on top of the money we already contribute to Medicare via our taxes, and we will eventually be allowed to retire and claim our pension (which we have paid into all our lives) when we are about 82 or some such nonsense. Forgive me for being naive, but I am reasonably sure that I remember that what we spend our public money on used to be a choice? In which case, I vote for fewer toys for the boys, a health system free at the point of use, and to be allowed to retire when I was originally promised I could. To be more serious for a moment. The only time these planes would ever be used in anger would be if America or perhaps the EU asked us to join them in some military adventure in some far-flung region, and offered us base space over there so we could help out. Just as we did in Afghanistan, flying from a base in Kyrgyzstan. But does the Australian public have much of an appetite for such efforts, still? After the pain endured in Afghanistan and the wanton idiocies of Iraq, (and we are still waiting to see Messrs Howard, Bush and Blair arraigned as war criminals), we doubt it. And that’s really what should be being debated over this purchase. Just where, exactly, Dear Prime Minister, do you intend to be using these aircraft, and why? Lockheed Martin and the American government will no doubt consider this a wonderful decision, but we consider this an egregious and excessive use of our tax dollars that concretes us in even more tightly in lockstep with America at exactly the time that our growing engagement with Asia, and especially China, suggests that a slightly more neutral posture would be a wise and measured stance.